Please use the form below to provide us with your classified advertisement. Classified advertisements are added to the 'Wanted for Purchase/Merger' section of the Dental Practice Exchange site FREE OF CHARGE. 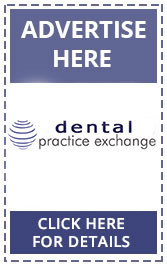 Please direct any question to accounts@dentalpracticeexchange.com. Please provide us with an email address that you are happy for us to contact you about your advertisement.